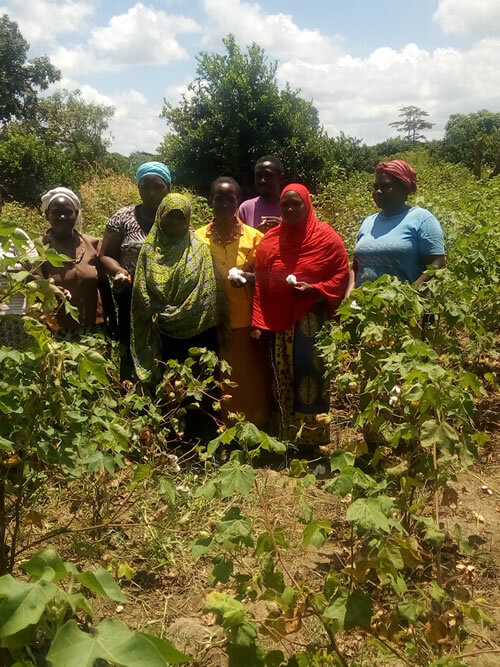 SACDEP Kenya have been building the capacities of communities in north coast region of Kenya under the flagship of LAMU ORGANIC COTTON PROJECT. The project is implemented by SACDEP Kenya and coast communities in Lamu and Malindi regions. Through funding from ILD /BMZ and KLJB a Rural youth organization from Germany, the project has been under implementation for the last 5 years reaching directly to over 800 and indirectly to over 2,400 adult farmers and directly to 300 youths and indirectly to over 900 youth. The project is implemented in two Counties namely Kilifi and Lamu Counties. In Kilifi the project is implemented in Malindi and Magarini division while in Lamu the project is in Witu, Mpeketoni, Mkunubi and in Hindi Divisions. The overall project goal is to build capacities of the coast communities through provision of knowledge and appropriate skills for improved production of common crops in the region mainly Cotton, Simsim fruits and Nuts. The project endeavor to establish a feasible farming enterprise to contribute to increase in food, nutrition and agro-income level/security. Youth Self-employment is a key focus and addressed by the project through training the youth on value addition and marketing of organic products. This has helped engaging the youth in productive activities and contribute to the economy of their respective regions. The project in effort to promote access to affordable credit has designed a saving and credit model referred as Bank Without Walls(BWWs) which provide structure for saving, borrowing and investment for rural communities far from town where formal financial are not available. Through access to credit, the communities are able to financially support their farming enterprises, initiate business for more incomes hence improve their living conditions. Guided by Sustainable agriculture principles and practices, the project has been promoting awareness on environmental conservation and adaptation by supporting the communities in Coast region on re-afforestation of public sites and wetlands, establishment of woodlots and Orchards for households use, agro forestry and installation of wood energy conservation stoves in schools and for domestic use to reduce excessive use of wood.